I'm addicted to blogging. 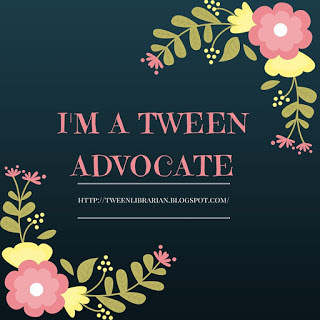 I love reading blogs, posting on my own, and talking with other bloggers. I started using Google Reader at the beginning of the year and it's my best friend. But I stil had too many blogs to read. Then during the Bloggiesta! I got some tips on how to organize Google Reader, which has been great. But anytime I'm away from the internet or I can't catch up on blogs for a few days I start to feel overwhelmed. After being gone for almost a week at ALA I had a crazy amount of blog posts to read! And I have this problem where I feel like I need to read them all. It's really hard for me to press that "mark all as read" button when I haven't really scanned over all the pages. I guess I just feel like I'll miss something cool or some awesome new book will be talked about or I'll win a contest and I'll miss it. Sigh...it's a sad problem, I know. I'm getting better though! I finally decided there was no way I could catch up on the backlog, so I started fresh and the number of posts in my Reader is much more mangaeable. And if I'm pressed for time, I'll star items to come back to. So I want to know-how do you manage all the blogs you read? Do you set aside time just to read blogs? How long do you give yourself before you mark them all as read? I too use Google Reader and it has made my life so much easier! If there is something I want to read again or read later when its quiet and I can concentrate better (after the kids are in bed) I will tick the keep unread box. Once I figured out how to make folders in Google Reader, it was a lifesaver! I need to trim down some of my folders some more, but it lets me know just how many items are in each one, which I like. I always make a habit of reading blogs of people that always comment on my posts; if they make the effort to ALWAYS comment on my blog, I should meet them half-way too ya know? Oh, I know what you mean about feeling overwhelmed. I get that way when I miss out on really cool contests! But luckily, I'm starting to break out of that habit: the internet is sooo addicting. I love Google Reader! I have an entire folder just for book blogs. heh. I tend to read stuff through out the day as I am working (shhhh!). I have google reader as part of my iGoogle page and tend to skim post titles, click on those that interest me the most and save the rest, or just mark all as read some times. There are specific blogs that I actually go directly TO from my reader (yours is now one of those since I have discovered it!) I try to comment on all posts that interest me. I don't have as many blogs in my reader as others, but it's still a good 100 something! I don't use google readers, I just follow blogs and go through the list at the bottom of my page on blogger. It does take a ton of time and I try to keep up with it but I'm sure I miss things sometimes. But yeah, I understand the need to read everything and not miss something. That would be awful! That's why for contests especially, I love when they email me. I'd hate to enter/win and then not know and they have to give it to someone else. I also subscribe through email for some so that helps a bit too. Google Reader is my friend, as is folders. I would be lost without them all. As for the guilt, I feel that way too and it's bizarre because you know, it's just a blog, no one is forcing me to read it. But I have this guilt that I'm somehow missing out or not doing my job when I don't read everything, even if it is a personal blog versus a library related blog. The nice thing is that I can catch up on some blogs while I'm at work out on the desk and it's not too busy. It's easy to scroll through and read my library blogs and stuff, so that helps. Funny you should write a post about this because I just started thinking about it recently myself... I now subscribe to so many blogs that probably 200-300 posts show up in my reader daily. I've just decided that I need to create folders to organize my blogs by priority in case I ever get so backed up that I have to let some posts go unread. But I hate doing that, too!! I've ordered my google reader into folders and I have a faves folder so I don't miss any of the blogs I love but then when I have time I go through the rest and find I've missed something important or fun and I kick myself for not having that blog in my faves folder. It's like you're speaking exactly what I'm thinking. I'm the same way. Even with the organization in my feed reader I always feel like I'm behind. Heck I've got 635 unread posts right now that I'm trying to wade through! Like you, and many who have commented here, I don't want to miss anything. I feel fairly confident I'll still find the great books I just worry I'll miss an opportunity to share in a really great discussion. What I ultimately end up doing is going through my reader and skim certain posts. If it's a review and the cover/title of a book clearly doesn't appeal to me I'll skim it and mark it read. I may not give it the thorough read I would others. I also try to start reading in various places because I know that if I always start at the top I'll never get all the way to the bottom and then there will be 10+ posts per blog and it gets super overwhelming. Keeping those numbers low per blog does help keep it from seeming like too much work. I also use google reader and folders. When I get behind, there are certain folders that I have to read every post in. I can mark others as read without much guilt. I'm like you. Totally addicted and love Google Reader. I also got some tips during Bloggiesta. I've had to start dedicating every other night or so to just reading my reader and then doing blogging and reading the other night. Still having trouble keeping up though especially when I keep adding new blogs to follow. I'm totally in LOVE with Google Reader. The folders are a must. Also I check out the stats every now and then and see which subscriptions I don't read that often and ax them when I feel like I'm not reading them very much.